The family of a boy who was shot in the face while sleeping inside his Liberty City home is asking for the public's help in finding those responsible. "Everyday it's something about a child, a child getting killed or injured. It needs to stop," said Shauntrell Darling, whose son was shot. Dontrell Darling was sleeping inside his home in the 800 block of Northwest 8th Terrace when he was shot back on Nov. 15. A drive by shooting riddled the house with bullets and injured the 9-year-old in the face. Doctors say Dontrell was lucky his life wasn't cut short. "It's a shame how little children can't be little children, can't enjoy their life," Dontrell's mother, Shauntrell Darling, said at a news conference Wednesday. A 9-year-old boy was rushed to the hospital after he was shot in the face while sleeping inside his Liberty City home early Friday. The drive-by shooting happened just after 3 a.m. in the 800 block of Northwest 8th Terrace and left the home riddled with bullets, Miami Police said. NBC 6's Hank Tester reports. Five children and three adults were inside the home at the time of the drive-by shooting, but thankfully Dontrell was the only one hit by a bullet. At Wednesday's news conference, he still sported a bandage on his left cheek. His mom said his stitches were removed last week. Darling said her children are terrified and they've already moved to a new home. "I can't really leave them, they're like terrified to sleep on a bed, they want me in the bed with them," she said. A 9-year-old boy was rushed to the hospital after he was shot in the face while sleeping inside his Liberty City home early Friday. 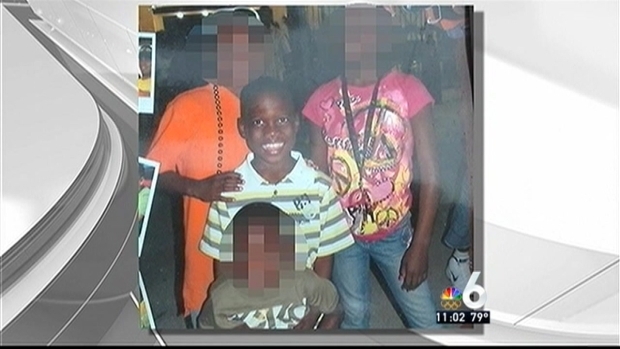 NBC 6's Bobby Brooks spoke with the boy's aunt and neighbors about the drive-by shooting. Police said they're still looking for a suspect or suspects. "There are a few leads on this case and I know someone knows something, someone has seen something and if you can just...you don't have to identify yourself," Detective Ezra Washington, lead detective in case said. "If you don't have a child, you have a child in your family, it could be anyone of us at any given time so we have to take it serious as a parent and say 'hey, if its not my child today, it could be my child tomorrow.'" The shooting is just one of several in the past month involving children. On Nov. 6, an 11-year-old was shot at a house in Miami Gardens. On Nov. 22, 10-year-old Aaron Vu was shot and killed during an armed robbery at his family's Miami-Dade nail salon. 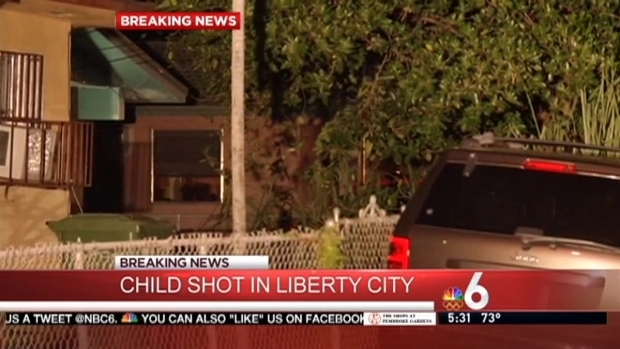 A 9-year-old boy was rushed to the hospital after he was shot in the face while inside his Liberty City home. Neighbor Richard Smith comments. 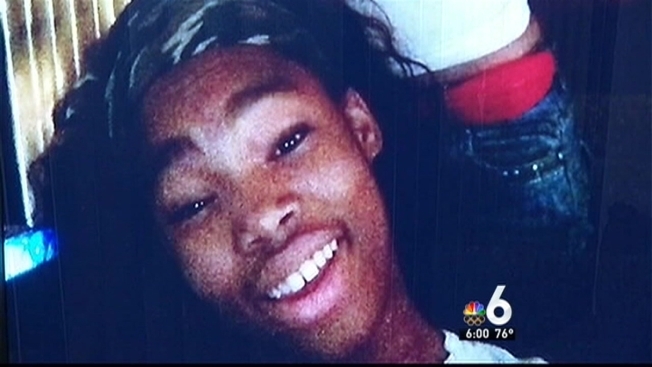 On Tuesday, a 9-year-old girl was shot in the leg at a northeast Miami-Dade park. "It's very sad, like what's going on. Everyday it's something about a child, a child getting killed or injured, it needs to stop," Shauntrell Darling said. "All innocent kids, all innocent kids and it's bad, it's day after day a child is either getting injured or dying." Police are hoping community members will come forward with information. "There are resources that are available to us to assist people with that particular plight should they make the bold step to come forward, but it requires them to make the first step," Sgt. Carlos Castellanos said. "Today it's someone else, tomorrow it can be you or someone close to you no one picks to be a victim , you just become one."